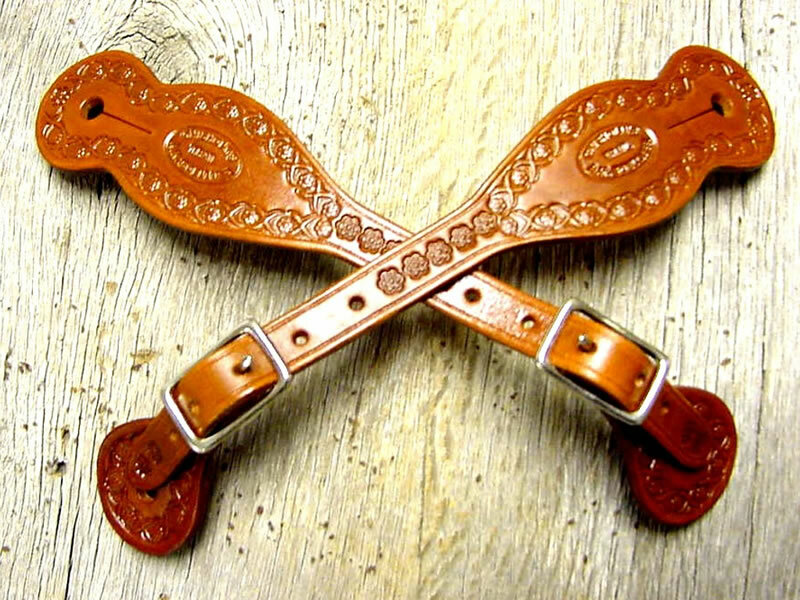 Western hatbands, leather hat bands and cowboy hatbands are all made by Chisholm’s Trail Leather. Please take time to view our home page and scroll down to the little cowboy boot key chains to see the colors we have available. These color samples also have our final hand rubbed finish applied. 1. 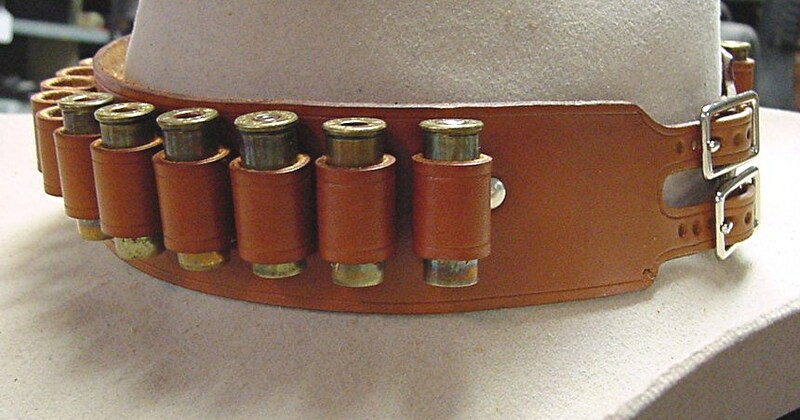 All Cartridge belts standard with up to 18 loops in your caliber. Additional loops at $1 per loop. 2. Due to rising costs in supplies, materials & leather, prices have increased $10 per item. 2. See home page for color choices on photo with cowboy boots. 3. For lining now add $35 per piece. 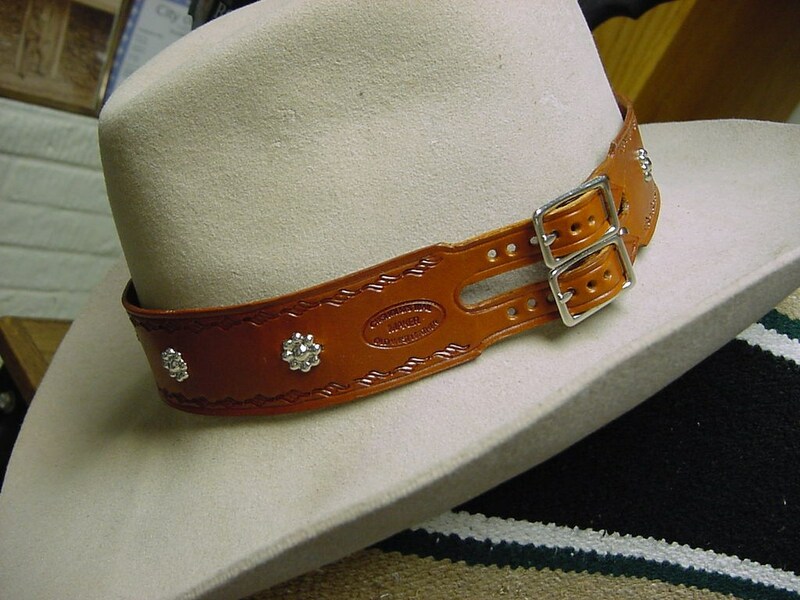 Chisholm’s Trail hat bands range from $39.95 to $69.95 and higher depending on the buckle choice. We can make Sterling Silver buckles. Hat bands are 1″ or 1 1/2″ wide like the originals we examined. Edge groove with laced back ~ $39.95. Edge stamping with laced back ~ $49.95, with buckle back $59.95. Basket weave or tooled flowers and vines with laced back ~ $ 59.95. Addition of single rectangular buckle ~ $ 5. Double buckle adds ~ $10. Addition of single fancy buckle ~ $10. Addition of dome head spots ~ $10. Fancy concho prices vary with style. If you do not see the hat band you like below you can design your own! Measure around the crown of your hat prior to ordering. 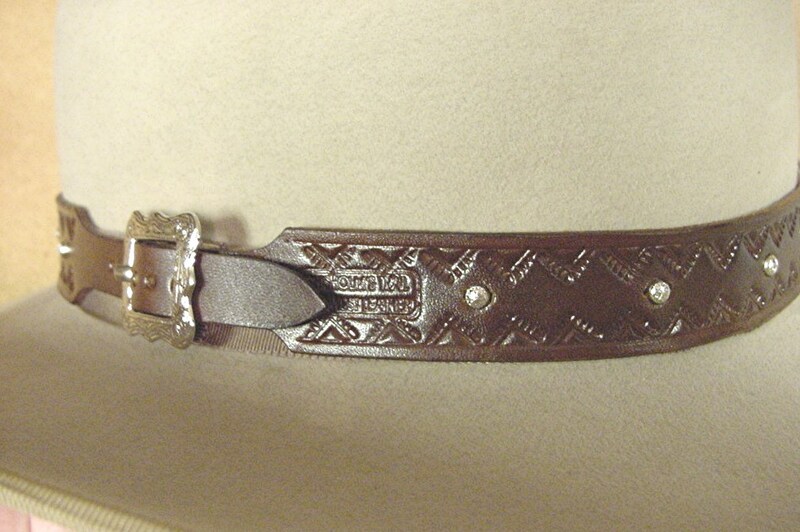 Large 1 1/4″ wide edge grooved hatband with buckle and strap closure. Three oval ornate conchos laced on the hatband that are almost an exact copy of the original in black. 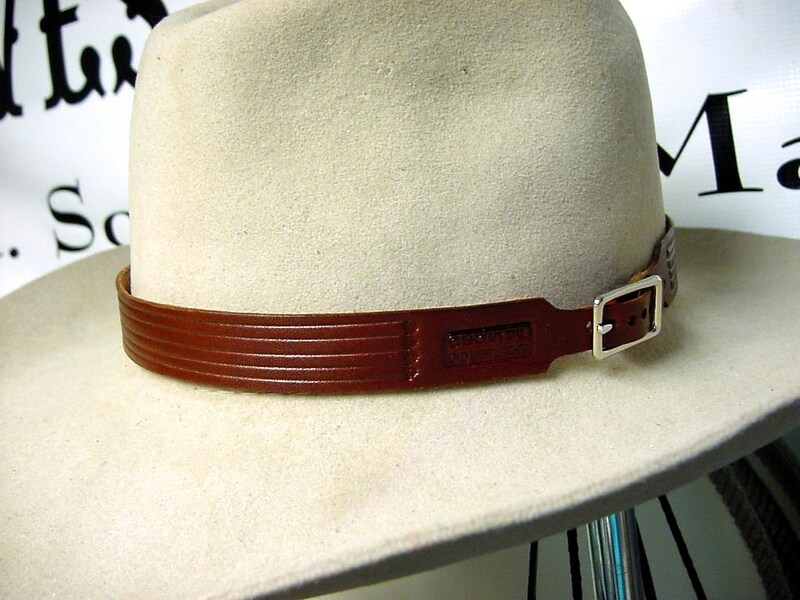 Your Paladins set is not complete without this hatband ~ $149.95. A very few will be made with Sterling Silver conchos ~ $225. Don’t forget to order his 1 1/4″ pant belt and buckle from our western movie page. 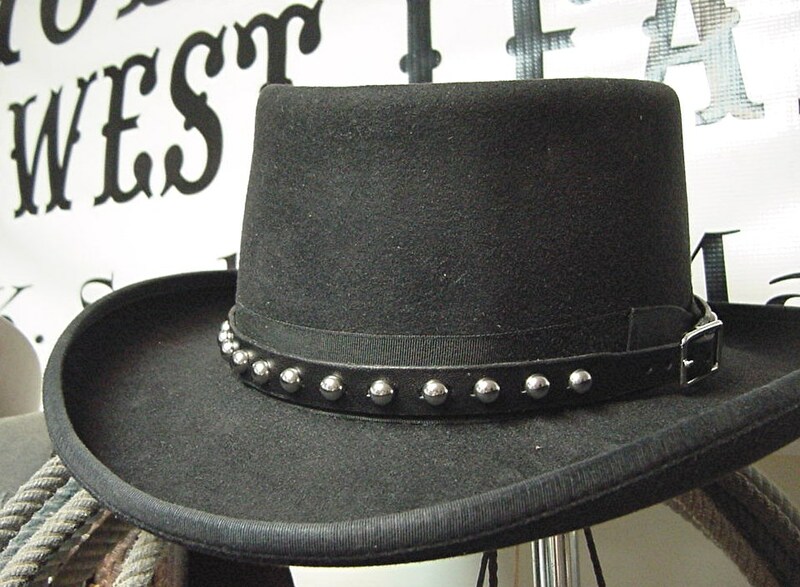 In the great western movie “Johnson County War,” Cain Hammett wears a very authentic wide hat band with double buckle and doubled tongue with one line of edge stamping.Wickett & Craig .4-5 gauge tooling leather, the same as we use for bullet loops. Vegetable tanned with oil base stain in your choice of color, with hand rubbed saddle finish. Please measure around the outside of your hat band at the crown before ordering. Our adaptation without studs ~ $69.95. 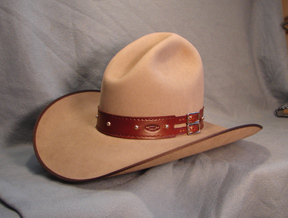 Same band with nickel studs ~ $79.95 (Photo color is chocolate)Same hat band in Saddle Tan color. Double buckle hat band, edge stamping and engraved domed spots ~ $79.95 Measure around the crown of your hat prior to ordering. 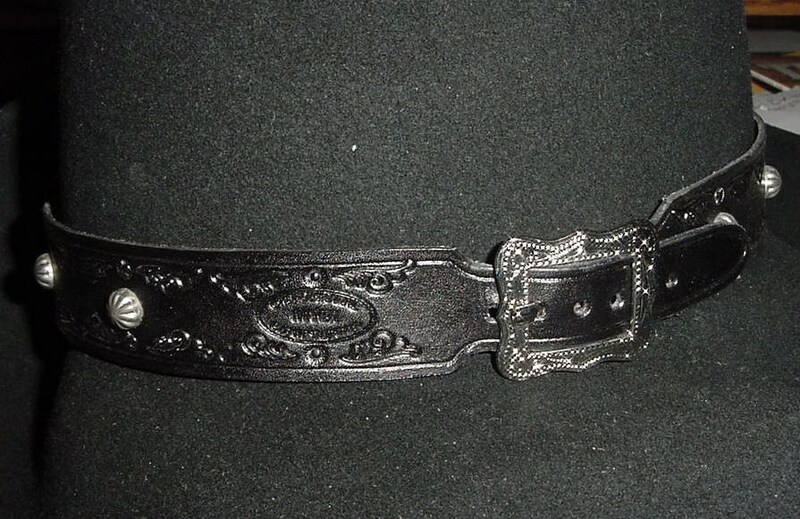 Black double buckle hat band, edge stamping and rope edge, engraved nickel conchos. Wickett & Craig .4-5 gauge tooling leather, the same as we use for bullet loops. Vegetable tanned with oil base stain in your choice of color, with hand rubbed saddle finish. Please measure around the outside of your hat band at the crown before ordering. ~ $79.95 Measure around the crown of your hat prior to ordering. 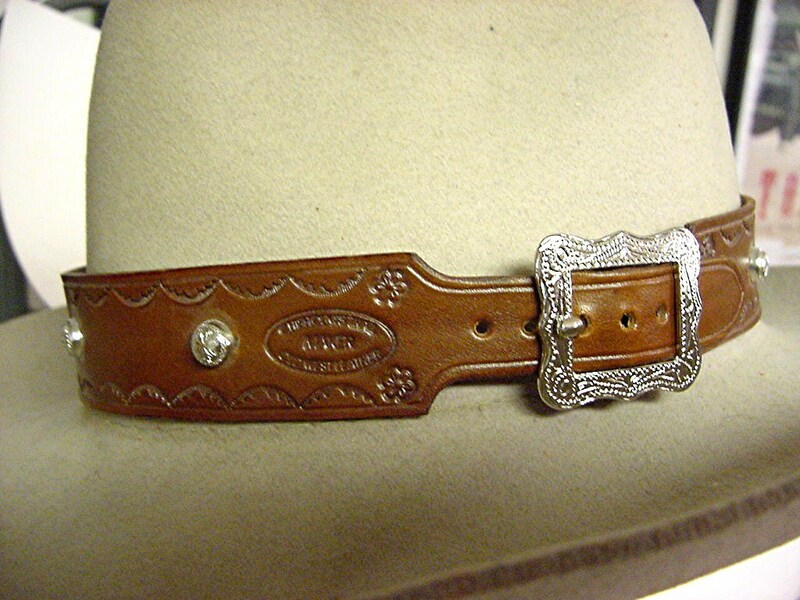 Cowboy Brown color hat band, single fancy engraved buckle, edge stamping and domed spots. Wickett & Craig .4-5 gauge tooling leather, the same as we use for bullet loops. Vegetable tanned with oil base stain in your choice of color, with hand rubbed saddle finish. Please measure around the outside of your hat band at the crown before ordering. ~ $79.95. Measure around the crown of your hat prior to ordering. Saddle tan, double buckle hat band, edge stamping and loco weed flower nickel conchos. Vegetable tanned with oil base stain in your choice of color, with hand rubbed saddle finish. Please measure around the outside of your hat band at the crown before ordering. ~ $79.95. Donna’s personal favorite for the girls. Fancy “lady lace” edge stamping with antique parachute spots and engraved nickel buckle. Vegetable tanned with oil base stain in your choice of color, with hand rubbed saddle finish. Please measure around the outside of your hat band at the crown before ordering. ~ $79.95. This one is finished in Gunfighter Black. 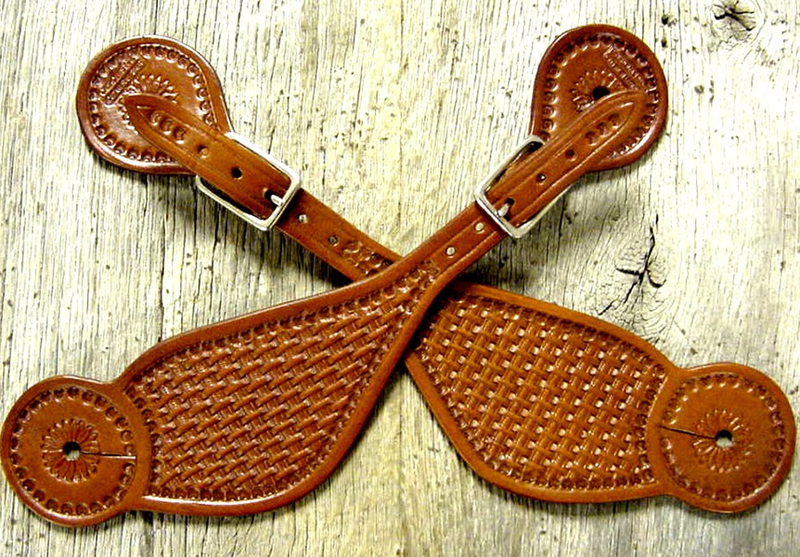 Our leather version of Marshal Dillon’s hatband. Four deep groves with periodic miniature flower centers create a unique and stunning hat band. This one is in Cowboy brown. Vegetable tanned with oil base stain in your choice of color, with hand rubbed saddle finish. Please measure around the outside of your hat band at the crown before ordering. ~ $69.95. 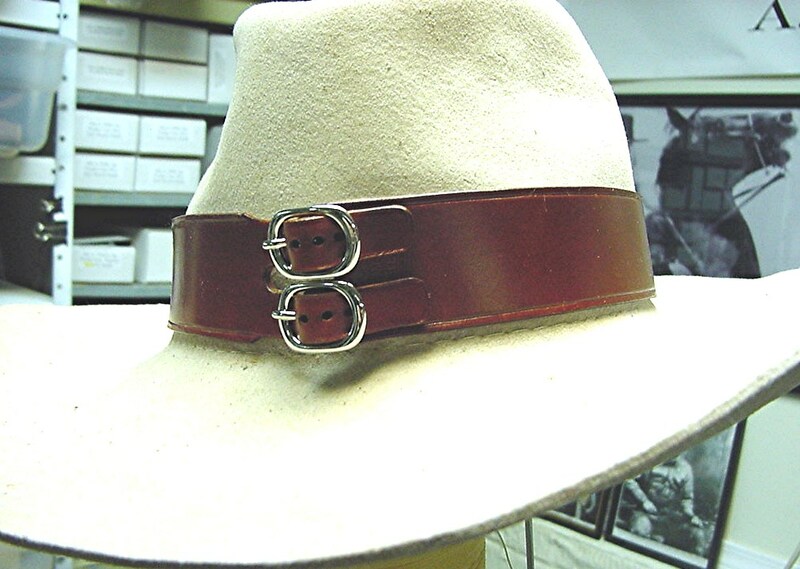 The Ranger’s hatband is a wide, authentic double buckle, double tongue style with the buckles worn in the front. The band is Cowboy Brown with an edge groove border. See the Ranger photo in the book Packing Iron, page 118 where we obtained this pattern. This is our Berringer hat band that was copied by a recent western movie with the buckles and tongues worn in the front of the hat. Vegetable tanned with oil base stain in your choice of color, with hand rubbed saddle finish. Please measure around the outside of your hat band at the crown before ordering. Chisholm’s Trail original ~ $69.95. A common Bounty Hunter hat band seen in the old west was often composed of a wide band of leather with nickel or brass studs to set it off. This is our reproduction of what the original hat band looked like. Thicker 7-8 gauge leather in Old Walnut stain, as shown with nickel studs and laced connection on the side ~$69.95. Other color choices and studs available. Vegetable tanned with oil base stain in your choice of color, with hand rubbed saddle finish. Please measure around the outside of your hat band at the crown before ordering. 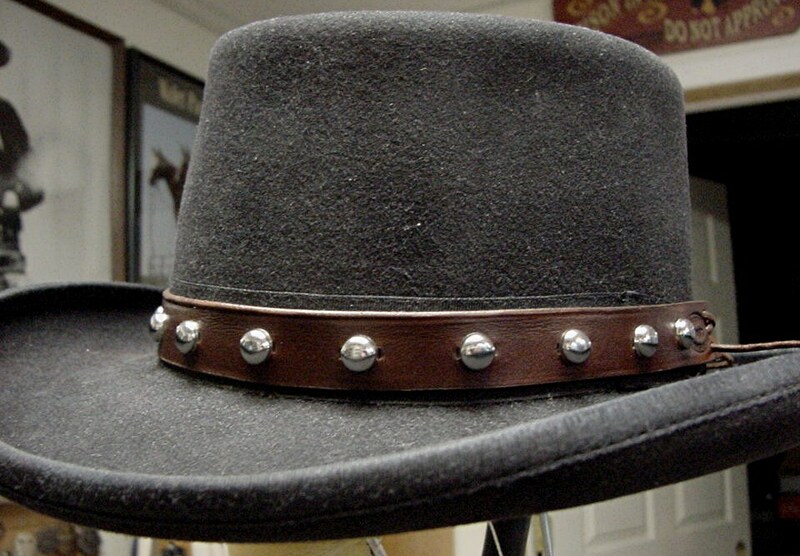 A wide 1 3/4″ double buckle hat band with full bullet loops. Laced though slots to allow the shells to stand out a bit. Saddle Tan finish. Vegetable tanned with oil base stain in your choice of color, with hand rubbed saddle finish. Please measure around the outside of your hat band at the crown before ordering. As shown ~ $124.95 (shells not included) Specify cartridge using. 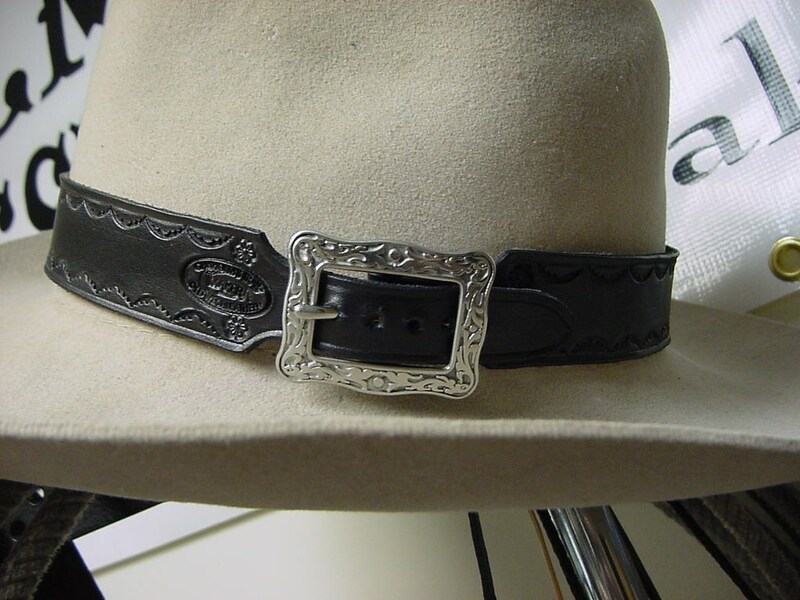 Very nice aprox 1/2″ wide hat band with tapered tongue, nickel rectangular buckle and nickel studs placed closely together. Wickett & Craig .4-5 gauge tooling leather, the same as we use for bullet loops. Vegetable tanned with oil base stain in your choice of color, with hand rubbed saddle finish. Please measure around the outside of your hat band at the crown before ordering. ~ $79.95. Price may vary for additional studs and time to install. Remember in the movie “Tombstone” when Wyatt raked Ike Clanton’s cheek with his spur. 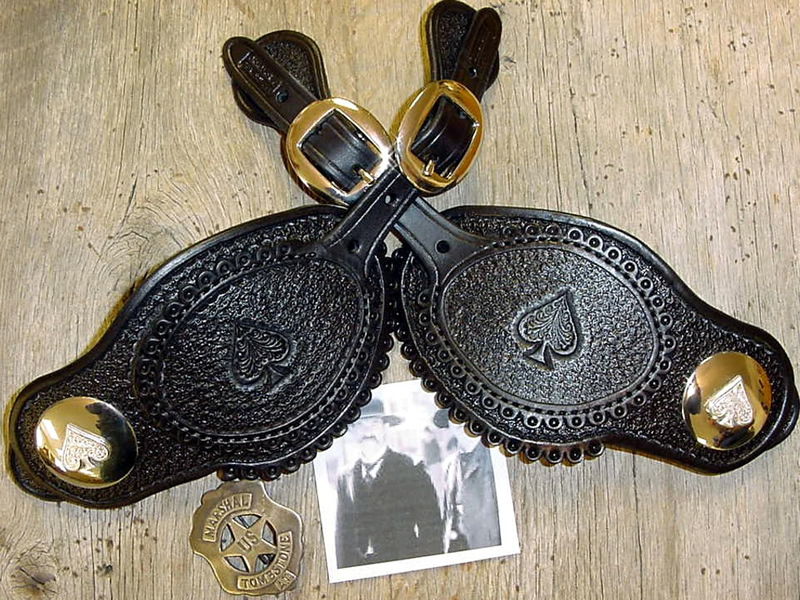 Now you can own our adaptation of these famous spur straps with both the tooled Ace of Spades in the leather and also on the large nickel concho. Set $169.95. Concho “Chisholm’s Trail” ORIGINAL. 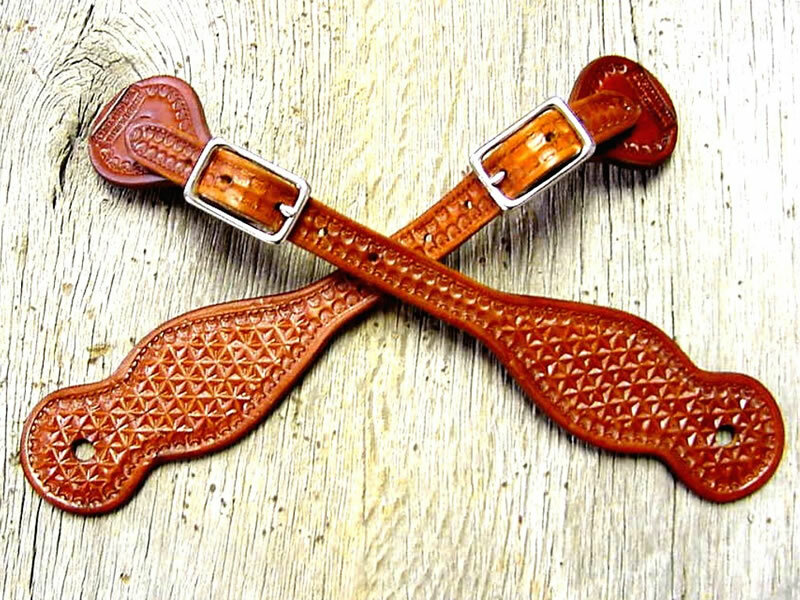 Adapted from original old west spur straps found at a Texas yard blanket sale. Made from thick leather & nickel-plated buckles for long hard use. Edge groove $49.95 or one line of edge stamping- $59.95 (full coverage- $69.95) We can match the stamping on your gun belt & holster. Come to Chisholm’s Trail Leather for your hatband needs: cowboy hatbands, Western hatbands and leather hat bands. We’ve got’em all. 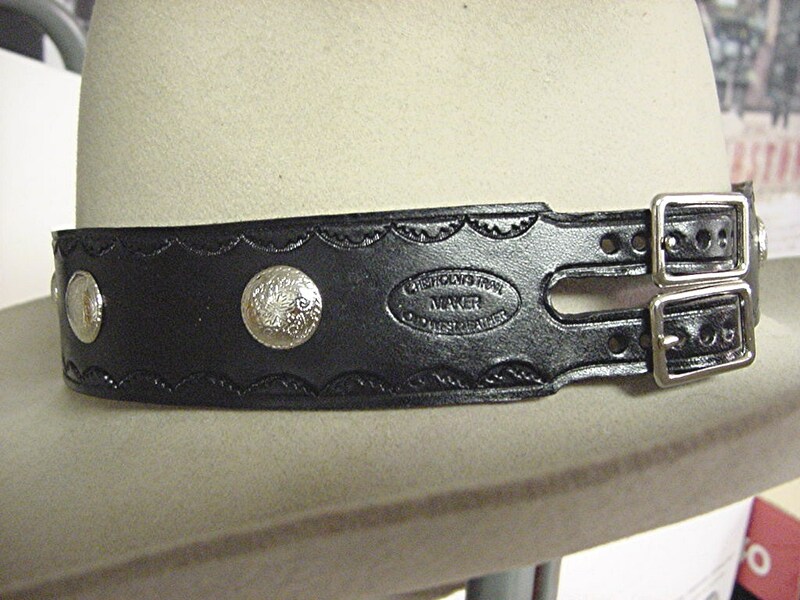 tags for social media: leather hat bands, cowboy hatbands, Western hatbands.